Improving Speaking Skills Through Audio Visual Aids explains that the teaching profession is filled with countless opportunities to enrich the academic lives of students. While some concepts are easy for students to grasp, others may require to think creatively to ensure that important learning objectives are met. Using audio-visual aids in teaching is one way to enhance lesson plans and give students additional ways to process subject information.Since most people are visual learners, it’s important to go beyond “spoken words” when educating students. This will also help the teachers to assess each student’s overall understanding of the desired learning objectives.This study analyses the problems that are usually faced by the students of grade five. Since, more importance is given to reading and writing skills of English that is why most of the students are found to be silent, shy or have a profound fear of being wrong. It further highlights self-developed strategies on the part of teachers which will help the students in improving their accuracy and fluency. This will be done by using audio visual aids, through which systematic lessons will be delivered in the classrooms. The main objective of this research is to sort out the problems that the students and also to present the way to improve of speaking skills by the use of audio-visual aids while teaching. This study will show new ways in order to improve students’ speaking skills which can be helpful for second language learners and teachers. In this competitive world, communication in a global society is a must to ensure our survival especially in business, sciences and technology etc. Most of the factories offer job vacancies to those applicants who are capable in English both written and spoken forms. They promise good positions and better prospects to them. To learn English is sometimes considered as a difficult task as experienced by the persons who are not of the English community. However, there are some possible ways through which the learners can learn to speak English effectively. For instance, watching English news, television programs and documentaries can improve speaking skills. The television programs, which have never been absent in English entertainment and educational program, are presented to those who are determined to improve their English. However, in reality one can still find the advancement insignificantly. There are many students who know and speak English; even they have no interest in attending the English class seriously. This problem is caused by the unsuitable methods and the media that are used by the teachers while teaching English. This problem may make the students feel boring and frustrated. According to linguists, learning process especially English speaking is primarily concerned with modern and advance ways of teaching. Many of the Pakistani teachers are facing severe problems in the so called educational system of Pakistan as Ahmad and others have quoted Hayes (1987) in their work who is of the view that, “Teachers in Pakistani schools face various problems due to which the overall process of teaching and learning is affected” (86). One of the biggest problems of the system is carelessness of the authoritative members. No one bothers to analyze the problems seriously. Teacher’s problems are neglected they are not given enough importance to look upon. Ahmad and et al. say that, “It seems that no one is paying attention to these problems and resources and energies are wasted on mere improvement of buildings and in the improvement of the curriculum or system developments” (87). Education is considered as development for a country. It is like a backbone of development of any nation in the world. Countries that have effective system of education are more developed and prosper as compared to other nations and societies in all fields of life. Such countries are known as leaders of the world. The education system of Pakistan has many problems. Although, the general problems of the system of education in Pakistan have long been identified through various studies but in this research only those problems are taken under analysis which are related to speaking. Furthermore, some solutions are also given to improve speaking skills by using audio visual aids. The study is conducted in urban context in Lahore, Pakistan. In Pakistan, there are two school systems which work side by side. One is the private English medium schools and the other is government Urdu-medium schools. English is learnt as a second language in both the cases. Alam and Bashir Uddin quote Rahman in their study who says that, “It gives social prestige to one who can speak… In this role, it empowers the elite and keeps the power within it” (17). But the problem lies with the lack of encouragement and suitable environment of study. Teachers do not use effective teaching aids to improve speaking skills such as audio-visual aids. They further quote Bashiruddin who states, “The students have no exposure to English in their everyday communication. Both students and teachers use Urdu or the regional language to communicate inside the class, and almost no exposure to English” (18). Analysis of literature shows that the system is affected due to the various reasons. It is a fact that many teachers do not use audio visual aids because it is the responsibility of the teacher to prepare them. The study further finds out that lack of teaching and learning resources in schools has affected the quality of teaching and learning. There are meager professional development opportunities for teachers to improve and enhance their teaching skill. In this critical situation, it seems impossible to improve student’s speaking skills. Moreover, there is a lack of motivation among teachers and students. In most of the places, the teachers are less focused towards preparing audio visual aids. It happens usually because of lack of their interest. Many teachers are not efficient enough to use audio visual aids effectively where as some teachers who are efficient enough to use audio-visual aids sometimes do not bother to use A.V aids because it takes time and money so the study further finds out that the system is affected due to financial problems that a teacher has to face while teaching. Teaching is such the kind of profession in which a teacher needs to have a continual updating. New changes occur in the environment and also around the world. This change demands the teachers to be continuously aware of the latest theories, research and other addition to their prior knowledge. Teachers who are not professionally qualified and upgraded are not able to cope with the different changes and challenges going on in the society, in the country and also the world at large. There is a clear difference between the traditional teachers who follow the old means of teaching and the teachers who cope with the changes in the educational field and turn their selves according to the present situation of education or the need of the hour. It is also discussed by the Ahmad and his other fellow researchers who quoted Farooq (1990) in their work and state that, “Those teachers who acquire latest knowledge, develop their skills effectively manage the process of teaching and learning. They teach and learn better” (90). Teachers should also consider their selves as a learner because effective teachers need to have effective learners. To improve speaking skills needs to bring change in the teaching techniques, and to change teaching techniques, there is utmost need of acquiring professional education so that a teacher should be aware of his learner’s problems. It is also observed in the study of Ahmad and et al. who say that, “The practice of professional development of teachers is less in Pakistani schools. Due to lack of latest knowledge and skills, the teachers are found weak in solving the problems of students in the process of schooling” (90). There is also a wide range of problems on the part of the students. One of the problems is to have non-serious attitude towards learning and specially speaking English. Students are less interested in learning English because they are mostly unable to understand the main idea of the topic under study. Moreover, to pass the exam they are habitual of cramming instead of having a profound knowledge of the lesson. 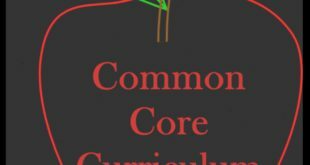 It is also interpreted by the researchers, Ahmad and et al., who are of the view that, “Students in Pakistanis schools memorize the concepts for examination purpose. They lack analytical, reflective or critical skills like their teachers. This situation has affected the overall degree of quality of education in the country” (90). Passing a language exam through cramming does not give a true picture of a learner’s command on language. Grasp on a language can only be tested through concept base question which demands learner’s creativity. So, written examination is not enough to examine a learner’s proficiency in English or any other language. Speaking is neglected in our examination system. To overcome this problem, student’s speaking should be checked through oral questioning. Student’s speaking should be improved by the continuous lectures given with the help of audio-visual aids such as audio video clips based on different daily life situations. Small portion or oral test will be enough to have a fine start. A teacher should focus not only on writing skills but also on reading, listening and most importantly speaking skills. Teachers in Pakistani schools face various problems due to which the overall process of teaching and learning is affected. Most of the typical problems that the students of grade five face while speaking are that they cannot speak beyond short segments because of lack of vocabulary, poor grammar and pronunciation. Due to this problem, they cannot participate actively in conversation and activities based on daily life situations. They have frequent communication gaps and misunderstandings results in lack of communication strategies therefore they speak slowly and take a lot of time to compose sentences. All of these problems can only be solved by improving student’s speaking skills through audio visual aids. In the scenario of Pakistani public school the teachers tend to see their role merely in terms of an instructor or a director. Alam and Bashir Uddin quote Memon in their study who states, “Consequently their students may adopt a ‘surface approach to learning” (18). Several other evidences show that language is learned for the sake of passing examinations, not for developing skills such as listening and speaking. So it is a severe problem that is rooted in our so called examination systems and boring teaching strategies which are responsible of student’s lack of interest in speaking. It results in poor English speakers as Ahmad and et al. say that, “It is observed that students graduating from the schools have poor communication skills, social skills and even leadership skills to deal with problems of life” (90). This research is an attempt to use one of the media that is audio visual aids. It will also propose an alternative method to solve the problems mentioned above. On the whole, it is hoped that this medium will make a better result than other media, which our teachers usually carry in their teaching process. By speaking we do not mean merely uttering words through mouth. It means conveying the message through the words of mouth. Speaking skill is neglected in our classrooms because students do not get any chance either in the classroom or outside to speak English. Speaking is not a part of our examination. Improvement of speaking skills demands a lot of practice and attention. Previous research in language teaching that used the audiovisual method had been carried out by many educationists. The used audiovisual in language teaching has attempted to place language learning into a simplified social context and to teach language from the outset as meaningful spoken communication. Vilmec further quotes, “According to Bygate (1987, 22), both speakers and listeners, besides being good at processing spoken words should be ‘good communicators’, which means ‘good at saying what they want to say in a way which the listener finds understandable’. This means being able to possess interaction skills” (12). Speaking can be defined as the action of conveying message, information or expressing someone’s feelings in a speech form. It is defined and explained differently by different scholars and researchers. They also critically evaluate that speaking is the most important skill out of the four skills of language. Jyothirmayee and et al. state that, “The demands of the 21st century calls for the abilities to think critically, listen, speak, collaborate and communicate effectively” (1). According to Bygate, “Speaking is typically reciprocal: any interlocutors are normally all able to contribute simultaneously to the discourse, and to respond immediately to each other’s contribution. Further, in oral communication many people can participate in the same interaction, making it somewhat less predictable than written interaction” (16). Martin Bygate has also define speaking skill in his book, Speaking, and says that it is a kind of skill which demands attention such as, “Speaking is, however, a skill which deserves attention every bit as much as literary skills, in both first and second languages” (1). 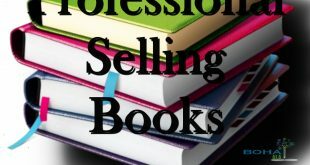 In selecting a speaking course, there are various elements to consider and the textbook might not be merely effective as Bougandoura quoted that “textbooks are regarded as the core of teaching materials across different levels of educational system in Algeria and serve as pivotal role to facilitate the instructors’ teaching in the classroom setting” (3). According to her, “Evidently, nowadays, the teaching of foreign languages is essentially oriented to develop comprehension and oral skills. Thus, it is quite understandable that modern applied linguists favorite the use of computer as a mediate tool between the teacher and the learner to increase oral interaction” (3). Language teaching involves many methods. All the available methods may be appropriate to different contexts. There is no one single method strongly recommended in the teaching of English since the level of the learners differs from one another. So, it becomes inevitable for a teacher to know the various methods of teaching & learning awareness of variety of methods help him to apply the relevant method in his classroom successfully. Mathew and Alidmat also talk about the usefulness of audiovisual aids, “Audio – visual aids are different types of tools that appeal to the sense of learning and vision and are used in classrooms for presentation of abstract information” (87). Audio visual aids involve a lot of materials to create an interesting environment in the classroom like digital projectors, audio recording, multimedia, flash cards, flip cards etc. It is not confined to any set of text books. The learners are mostly introduced task based and problem solving situations. Such innovations in teaching can bring easiness in acquiring the four skills of English language. These are listening, speaking, reading and writing. Among these skills they are interdependent like speaking depend upon listening and writing depend upon reading. But students in our Pakistani context generally have rare exposure to speak English as Qutbi Alam has quoted Bashiruddin (2003) who states, “The students have no exposure to English in their everyday communication. Both students and teachers use Urdu or the regional language to communicate inside the class, and almost no exposure to English” (18). To overcome the hesitation or difficulty in speaking English, it is beneficial to put language into practical use. This can be done through the use audio visual aids while teaching. Sanstha states that “the use of audio visual program is to develop conversational skills, which help the students to speak confidently. The present findings shed light on uses of audio visual aids in studying English conversational skills” (54). Activities related to speaking skills require audio-visual aids. It is the responsibility of the teacher to use audio-visual aids to make the teaching-learning process effective. Mathew and Alidmat quote Ranasinghe and Leisher (2009) who “points out that technology can never replace the human mind, but it can help expand it. They opine that teaching students how to use technology as a tool help their learning. Effective use of these technological aids depends on teacher motivation, interest, and availability of resources, technical knowledge and students’ response towards these audio-visual aids” (87). There is a lot of discussion on the usefulness of audio visual aids for effective learning but in our Pakistani context, it is not used properly in our classrooms. In fact, the teachers avoid using audio visual aids for their convenience. They keep themselves at ease while preparing a lesson plan for students because teaching with the help of audio visual aids takes a lot of time. It demands creativity and effective teaching ability. Teaching through video tape makes the concepts of students easy as it is stated by Jeremy Harmer: “ it is rare, these days, for a publisher to produce a major course book without a video component added in, and teachers frequently enliven their classes with off-air material or tapes produced for language learning” (282). It is not easy to use audio visual aids for every teacher such as to cope up with the audio recordings or video tapes so the teachers should be efficient enough to mold their lecture into interesting tasks and activities so that student’s interest to learn and speak English language can be aroused.“These lecturers rarely use any means of communicating other than talk. They do not use blackboards or overhead transparencies to outline main points or provide full notes, nor do they use diagram to show relationships, structures or processes. They are less likely to write down full lecture notes or scripts, more likely to note headings and subheadings . . .” (Brown and Monogue 232). A quantitative approach is applied in the research for data gathering procedure. The quantitative data is collected by conducting pre-test and post-test that resulted mean score of the tests. This study is carried out in a public school, in urban city. The population of the study is all the students of primary schools in district Lahore. 30 Students of grade-5 of are included in the sample. The sample is taken randomly without and discrimination of gender. Permission was taken from the principal of the selected school to conduct the research. The school staff was also provided with the researcher’s lesson plan. 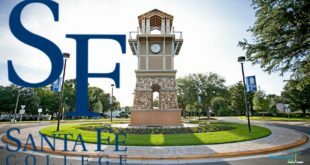 Consent was taken from both the teachers and students. It was made clear to all the participants that their participation was entirely voluntary and they could withdraw at any stage without assigning any reason. Privacy and confidentiality of their views was ensured. The participants were told that the information would be used for research purposes only. Presence of the researcher was meant to clear up any confusion in the procedure of teaching through audio-visual aids. This research is done by making two groups having 15 students in each group taken as sample. One of the groups is experimental group who is taught with the help of video clips shown by the help of projector for fifteen days taking different topics for conversation. The aim of using video clips is to teach students in an advanced setup and to increase their speaking skills through audio-visual aids. The controlled group is assigned with certain topics and the students are supposed to listen and watch the given video clips carefully. These clips are arranged according to the need of the topic on which the students are supposed to perform afterwards which will enable them to grab the basic idea of the topic. By the help of this interesting activity, they will muster up their courage to speak up. This way of teaching is selected because it will cast a light on the various and wider aspects about the topic. On the other hand, there is a controlled group who is allotted with a topic and is expected to talk about it without any help or reposeful material. They are taught by traditional lecture method and also by reading the text. 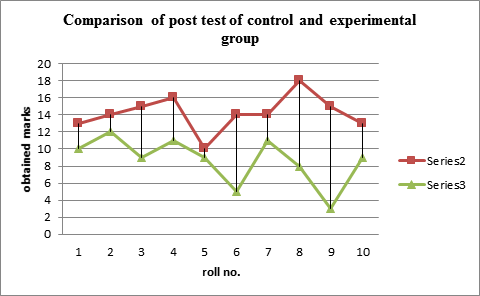 So there is a lot of difference between the results of both the controlled and experimental groups. Tests of both the groups were recorded. This research is comprised of an experimental study to investigate the comparative usefulness of the Audio-visual aids and ordinary method of teaching English at the primary level. For this purpose, pre-test and post-test groups are designed to measure rate of fluency and correct pronunciation while speaking in the students. The objective is aimed to investigate the appropriateness of applying audio-visual aids in teaching English at primary level. Pre-test and post-test equivalent groups were selected for this purpose. 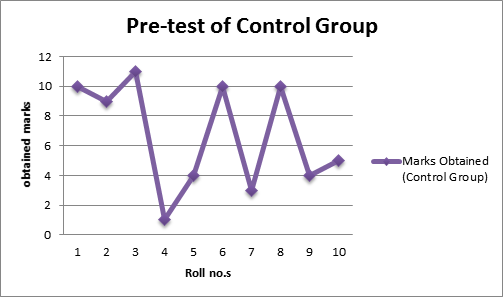 The achievement of two groups in pre-test and post-test was measured and compared with each other. Besides this, attitude of the students in the two groups before treatment and after treatment of improving speaking through audio-visual aids was measured and compared to find any significant difference as a result of treatment. On the first day of treatment, pre-test of control and experimental groups were taken. In the test, a topic was given to some students to talk about. Some students were also given a situation to have a conversation on it in the dialogue form. All of the topics were very easy and selected according to their level for instance a book fair, in the restaurant, visiting a zoo, and a picnic party etc. Pre-test of control group was not satisfactory as it was conducted in an ordinary private school. The students were not exposed with creative writing. Speaking skills were not focused in their way of learning English. The test was composed of speaking some lines on the topics given by the researcher such as my favorite city, visiting zoo and picnic party etc. Pre-test was also taken from the selected experimental group to know their proficiency level in speaking English. 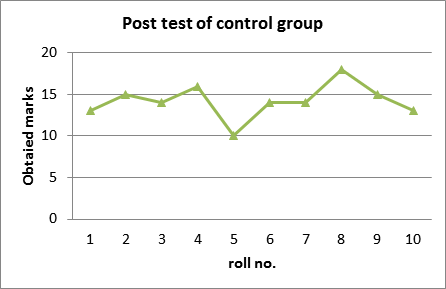 The result of the test was not different from the result of control group because both the groups were taken from the same class, their means to learn English were also same that’s why the result of experimental group was also not satisfactory. The students were taught in their regular classes by their teacher in the same manner as they were learning English earlier. They were habitual of learning English through cramming it. Speaking skills were not focused in their way of learning English. So the result did not show any difference. Before conducting post test of the experimental group, the students of that group were given special treatment. Their command on speaking was already checked in pre-test which was not satisfactory so they were taught with the help of audio-visual aids such as projector. The post test contained ten video clips. Teaching through these video clips took ten days and rest of the five days, of fifteen day’s treatment, were consumed in practicing those real life situations in dialogue form by the students of experimental group. The situations were related to daily life conversation such as clips related to working in bank, in the restaurant, in the market, buying sweets etc. the students were asked to listen the dialogues among the characters very carefully so that they may have knowledge how to communicate among one another in a particular situation. They had also learnt to behave in a particular situation and if they find any situation like that, they will easily interact with others. This way of teaching English promoted their speaking skills. The researcher played video clips on the projector which were based on different situations. The video clips contained dialogues required for that particular situation. In practicing those situations, the students were divided into two groups then the researcher gave them instructions how to perform according to a particular situations. They were given a topic by the researcher on which they were supposed to talk about. First the students were little bit hesitant in speaking. Afterwards they were encouraged to speak up as they were given treatment in their practice stage. They showed a very good result and looked confident while speaking. There is little difference in the pre-test of both the groups because they were given the same traditional lecture of English by their regular teacher. They were judged on the basis of their command in speaking English on their own. Their pronunciation, grammar, fluency and vocabulary were checked which were not satisfactory. All the errors which they commit during the test were kept in the researcher’s mind to work on it. They were also aimed to improve with the help of using audio-visual aids in teaching English. They were also given a situation to talk about in the pre-test. The situation was about the shopping in a cloth market. The students were supposed to interact with their other group members on the given topic. They were asked to have a dialogue discussion but they were unable to talk on it in a fluent manner. They had a lot of pauses and fillers while speaking. They also commit many grammatical errors. The sentence structure was not appropriate. Lack of vocabulary was also one of the major issues in their unsatisfactory result. All the results were recorded. 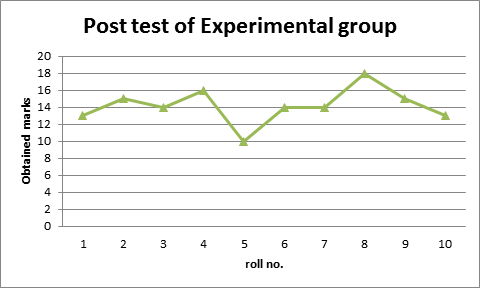 Post test of experimental group showed a very good result. 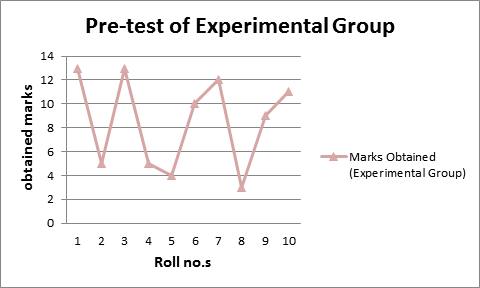 Series 2 in the graph represents the obtained marks of the experimental group whereas series 3 represents the results of control group. 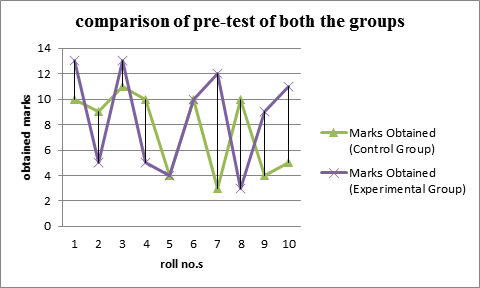 When the results of both the groups were compared, a lot of difference was observed. The difference measured in the results of both the groups were due to applying advanced mode of teaching English that improve speaking skills, that is, the students were taught with the help of audio-visual aids such as projector. The post test of experimental group was about speaking on a situation given by the researcher. The topic to talk about was “in the restaurant”. As they were already shown a clip on it, they easily managed speaking on it. They were assigned different rolls to have a particular dialogue discussion among themselves. They were keenly observed by the researcher while speaking on it. Their dialogues were recorded in a tape recorder. Their attitudes and level of confidence were also observed. It was also observed that they have improved their fluency. Their vocabulary was enhanced as well because of watching video clips on a n particular situations. They did not commit as many grammatical mistakes as it was observed earlier in the pre test of both the groups. The difference in the results proved that speaking skills can be improved by using audio visual aids. The results collected during data gathering procedure show that here is remarkable improvement in speaking skills of grade five students after implementation of the audio-visual aids in teaching English. The students of control group were not fluent in speaking English. They were hesitant while speaking. A lot of fillers were observed which were recorded side by side in their test. It happened because lack of vocabulary. A lot of grammatical mistakes and poor sentence structure caused many fillers and pause in speaking. Whereas the students of experimental group showed clarity in their pronunciation. Their grammatical mistakes were not in that high ratio as it was observed earlier in their pre test. The improvement of speaking skills using audio-visual aids was found very effective. There is a marked difference substantially in the post test. Those whose performance was very poor in pretest have improved considerably in speaking skills due to the implementation of audio-visual aids. The scores of some students are still average. 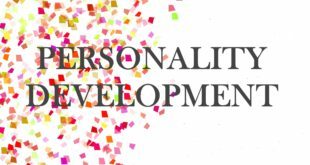 When other three skills are also focused, it gives a good impact in improving speaking skills and consequently scores show an overall improvement in post test. In general, there is a lot of improvement in performance of the students after the treatment given in conversational skills. This research study finds that students have real attraction of audio visual aids and if it is systematically used in development of English conversational skills then it would be beneficial and effective. The success of this research study, the researcher believes that it is possible to improve the confidence and performance of students at primary level. Students will also become learners to interact in a particular situation and also it will helpful in their future studies. Findings of this research also proved that incorporating Audio–Visual aids in educational techniques related to conventional educational tools has significantly increased student’s learning curve in the graphs drawn in data gathering procedure. It has also improved student’s motivation to learn English in a very easy way. It has promoted a deeper level of understanding. In other words, it has offered a change from the traditional teaching routines in which many learners have previously failed to communicate. The findings of data show that it has encouraged learners to experiment with whatever literary pieces they can recall, to try things out without fear of failure, to express themselves with basic fluency and accuracy. The objectives of the research have been well achieved because modern teaching methods of foreign languages count on involving the use of different organizational forms and activities which support such a development. 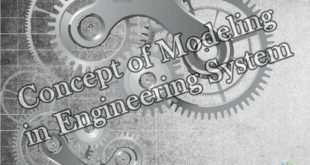 The researcher has also organized these activities and the way the students of experimental group perceived the individual steps connected with the organization of activities which have essentially influenced the eventual efficiency of the activity and the consequent development of speaking skills. Deliberate efforts are necessary for the general improvement in listening, reading and specially in speaking skills. The use of Audio-visual aids has created interest among the students, so it should be used by English teacher while teaching English in classroom. Teacher of English should provide ample opportunities and platform to the students for the development of conversational skill. There are some limitations regarding the use of audio visual aids that are not discussed n this research. These limitations include lack of timing or miss-management of timing. Every subject is given a specific time period to learn. Usually a period carries thirty five to forty minutes to cover a lesson. Many of the times roll call, introduction of the topic and pre-test questioning, to grab an idea to know student’s previous knowledge or command over the subject matter, take fifteen to twenty minutes. This will put a bad impact on the discussion of the very topic which the teacher is about to teach in that class. Modern techniques and audio visual aids are avoided to use in schools. It causes many problems like; syllabus is not covered in proper time that is given by the authority members of the school. This is a serious issue and it affects both the teacher and the students, that is, the teacher who is failed to cover his syllabus in time due to use of A.V aids is held responsible for it and is also considered as careless and unprofessional. In this way, intelligence and hardworking of a teacher go wasted if he does not satisfy the authorities no matter to what extent it gave knowledge and information to the students. So problem also lies with the authority members of the school who need to encourage teacher because a teacher also needs motivation. On the contrary, if the school committee gives liberty to teachers, it will cause a severe damage to the whole system of school management. There are some other limitations such as audio visual aids cannot replace the instructor. Teacher’s presence is above all. Secondly, colors are misused and letters and symbols are also some times illegible. Sometimes old video-tapes and recordings are available which do not have clear voice quality so it is useless to arrange such a thing which cannot be heard and viewed properly. These are some of the limitations that will not be addressed during this study. Being a professional teacher is not a piece of cake. We should qualified enough and follow the challenges of the development technologies. To produce a skillful student, we not only should apply many various techniques in teaching, but also add our knowledge by doing some positive activities by using A.V aids. It is beneficial to use audio visual aids in a language learning classroom because these aids are considered as a best motivator. It gives clear image of the topic under discussion. Visual Aids give variety and provide different tools which help the teacher. When audio–visual aids are employed, there is a great scope for children to about talk, laugh and comment upon the topic. Under such atmosphere the students work because they want to work, and not because the teacher wants them to work. The audio visual aids give real touch to learning situations. All these things are considered as effective aids which enhance and improve student’s speaking skills. It is also considered as a crucial part for a language learner at primary level. Agam, Umesh T., and Dr. Megha Uplane. “A study of the effectiveness of Audio Visual Programme for the Developing English Conversational Skills of lX Standard Students.” International Journal of English and Education 2.3 (2013): 54-66. Web. 25 Nov. 2014. Ahmad, Iqbal, et al. “Problems of Government Secondary School System in Pakistan: Critical Analysis of Literature and Finding a Way Forward.” International Journal of Academic Research in Business and Social Sciences 3.2 (2013): 85-96. Web. 13 Nov. 2014. Alam, Qutbi, and Dr. Ayesha Bashir Uddin. “Improving English Oral Communication Skills of Pakistani Public School’s Students.” International Journal of English Language Teaching 1.2 (2013): 17-36. Web. 1 Dec. 2014. Bougandoura, Fewzia. “Towards Using Slides Projector to develop Foreign Language Learners’ Oral skills: A Case Study.” English for Specific Purposes 14.38 (2013): 1-9. Web. 15 Oct. 2014. Brown, George, and Michael Manogue. “AMEE Medical Education Guide No. 22: Refreshing lecturing: a guide for lecturers.” Medical Teacher 23.3 (2001): 231-44. Web. 23 Nov. 2014. Harmer, Jeremy. The practice of English Language Teaching New York: Oxford University Press, 1987. Print. Jyothirmayee, S.M., Dr. P. Eliah, and Dr. K. Madhavi Reddy. “Enhancing Communication Skills through Mini Projects in Engineering Education Using Audio-Visual Aids –A Study.” International Journal of Scientific and Research Publications 4.3 (2014): 1-5. Web. 4 Nov. 2014. Mathew, Nalliveettil George, and Ali Odeh Hammound Alidmat. “A Study on the Usefulness of Audio-Visual Aids in EFL Classroom: Implications for Effective Instruction.” International Journal of Higher Education 2.2 (2013): 86-92. Web. 17 Oct. 2014. Madhuri, J. Nagha. “Use of Audio Visual Aids in Teaching and Speaking.” Research Journal of English Language and Literature 1.3 (2013): 118-22. Web. 12 Nov. 2014. To improve student’s speaking skills. To enable the students to relate themselves with the real life situations. Students will be able to use new vocabulary. Students will be able to pronounce the words clearly. Procedure: First the teacher will ask the students about the importance of dialogue then; she herself will talk about the significance and usage of dialogue in daily life. Different audio visual clips will be played on the projector so that the students may listen the dialogues spoken by different people in the market. Moreover, students will be asked to listen them carefully as they are supposed to apply it in the role play afterwards. After listening the clips, the teacher will give seven to ten minutes to the students for group discussion. Then they will be provided with a situation from the teacher on which they will perform in a dialogue form or conversation. The teacher will encourage the students to speak up while performing. At the end, the teacher will discuss the mistakes repeatedly done by the students. Dr.: Good morning! What’s wrong with you? Patient: I have uh uh suffering from fever since yesterday. Dr.: Have you any other problem? Patient: I am also feel headache and shivering. Dr.: Let me feel your pulse and check your fever……… At this time the fever is 102 degree. Don’t worry, there is nothing serious. I am giving you the medicine, and you will be all right in a few days. Dr.: But get your blood tested for malaria, and come with the report tomorrow. Dr.: I shall recommend at least two days rest for you. Patient: You prepared a medical certificate um um for me to submit it in my office? Dr.: Oh sure…………. This is your medical certificate. Patient: Thank you very much. Please tell me how am uh uh I take this medicine? Dr.: This medicine is for one day only. Take this dose as soon as you reach your home and the second at 3 pm and the third at night before sleeping. Patient: What will I eat doctor? Dr.: You should eat only light food. You can take milk and fresh fruit also. Patient: How many uh uh shall I pay you doctor? Patient: Here it is please. Thanks you doctor. Patient: Thank you doctor. I shall see you tomorrow with my blood report. 2) Situation: A candidate visits an interviewer. Candidate: uh um May I come in, sir? Interviewer: Come in please….. have a seat. Interviewer: Please tell us something about you. Candidate: I pass 12th from CBSE with 75% marks. Now I am uh uh studying in graduation from University of Delhi. I am also doing a part time job as a computer operator. My hobby are watching cricket and listening um um music. Interviewer: Where are you working? Candidate: I um um working at the office of a chartered accountant in CP. Interviewer: How much salary are you taking? Candidate: Rs.3000/- in per month. Interviewer: Why do you want to leave that job? Candidate: Firstly it is a part time job and I want to do a full time job. Uh uh Secondly I am not interesting in accounting. Interviewer: You are doing graduation. How will you be able to do a full time job? Candidate: I am studying uh uh … graduation through correspondence. Therefore I am able to do a full time job. Interviewer: Why do you want to join a call centre? Candidate: I like to talk to uh uh…. Interviewer: Cricket is one of your hobbies. Now tell me, who is better batsman – Sehwag or Brian Lara? Candidate: According to me, Lara is more experienced and a better batsman. Interviewer: Which type of music do you like to listen to? Candidate: I enjoy both classical and pop music. Interviewer: Why do Punjabi pop songs are more popular in India than songs of any other Indian language? Interviewer: Who is your favorite family member? Candidate: My father is my favourite. Interviewer: Why is he your favorite? Interviewer: If you are made the chief minister of Delhi state what would be your first two steps? Interviewer: And if you become God for one day tell us one thing you would like to do. Interviewer: OK thanks, you may go. Shopkeeper: Good afternoon, sir, it’s good to see you in my shop on such a wet day. Customer: Yes we have had a lot of rain lately; and that’s why I have come to get a strong pair of boots. My feet have got quite wet in these thin shoes. S: I think I can find you a good pair. What size do you take? S: Do you want black booth or brown? C: Brown, please; with good think soles. S: Here is the very thing for you, sir! Real English leather, and strong without being clumsy. C: Yes, they look all right, I had better try them on. S: Certainly, sir; please take a seat. Now, how does that feel sir? C: It is a bit tight, I am afraid. Have you a pair a little larger? S: Yes, let us try a eight-and-a-half. There! Does that fit better? C: Yes, that is quite comfortable. What is the price? S: That will be Rs. 160, sir. C: Very good: I will take this pair. Waitress: Here are your meals. If you need anything else, just ask. Have a nice meal. D: The charge is by the hour. Ten rupees an hour. C: All right, Let’s drive to the Sozo Water. What year is your car? D: It’s 86 model, sir. C: What speed are you going? D: It’s 60 km. an hour. C: Are you doing 60 km. Don’t take risks like this Slow down, Please. C: Oh, you take the bends too fast. D: Don’t worry, sir. I can’t drive slow. Lo, we have reached our destination. Hi, I entered my email to unlock this content, but it didn’t work. It is still locked. i have shared this link on google, but now from where i should open it?